Construction work, archaeological sites, mining – these are just a few lines of work that require sturdy, dependable footwear. But you also need boots that can keep you dry when it’s raining or constantly stepping into puddles. These sorts of work boots are made from water-repelling materials. Unfortunately, with constant use, their waterproofing ability might wear off, so you also need to learn how to maintain it. If your boots are made entirely of leather, give them a good clean before and apply a protective wax on a soft cloth and rub a thin layer on the entire surface of the boots. Leave them out to dry for an hour, without exposing them to the heat. Afterwards, grab a clean, dry cloth and polish the boots. If your boots are made of nubuck leather or suede, you need a waterproof spray that’s made especially for these materials. Using wax can ruin or stain them. With that in mind, repeat the exact same process as before and grab a footwear brush to give them a nice polish at the end. So What Are The Best Waterproof Work Boots Available? Without further ado, let’s see what the market can offer us in terms of waterproof boots. 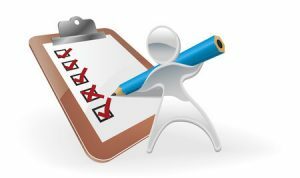 We’ll analyze the items below, listing their pros and cons so you can compare, contrast, and choose what’s best. These are some of the most affordable waterproof work boots. Their full-grain leather construction is particularly insulating, while the breathable membrane is also waterproof, meaning the water won’t find its way in. I love the sealed-direct attach construction with the uppers to ensure these boots stay waterproof. In fact, even the laces and the stitching are water-resistant. The design is altogether really user-friendly and their sole is shock-absorbing. Besides, they create multiple flex points to support both your arch and your heel, in order to let your feet relax. Their anti-fatigue design is great for prolonged hours standing or walking. The rubber outsoles are decent when it comes to grip and traction, while the polyurethane midsoles are really cushiony. On the other hand, you should bear in mind that these boots don’t have reinforced toes, so you can’t use them in risky work environments. Apart from this, they run a bit wide which can prove an inconvenience if you have narrow feet, so you should consult the size chart before making a purchase. The Chippewa Men’s work boots are possibly the best waterproof steel toe work boots of our review. That’s because they are extremely sturdy, durable and protective. The materials used are very strong, but this comes at a price. They are not just more expensive, but also heavier than most of the others. However, the leather upper is very resistant to water and punctures, while the steel toe can resist hard impacts and compression. The Goodyear welt is something I like in terms of both endurance and flexibility, while the Chip-A-Tex liner is waterproof and resistant. The Ruby Dri-lex 2000 lining should make these boots very cushiony and sweat-resistant, but I can’t say they’re great on a sweat-resistant angle. That’s because the Chippewa boots sport a 400 gram Thinsulate insulation and a Texon 460 waterproof insole. And because these materials perform so well in terms of insulation, they tend to underperform in regards to breathability, thus making your feet feel scorched in very hot weather. Still, I appreciate their non-tarnishable hardware, their durable black cascade synthetic outsoles, as well as the fact that they’re manufactured in the USA. Most of the times, you do get what you pay for and even if they’re not the best in hot weather, these are definitely a good buy. These Wolverine Floorhand come a lot cheaper. With a 100% full-grain leather construction, these are insulating, warm and protective, all this while offering a comfortable fit. Their synthetic slip-resistant sole is made of rubber lugs. That way, you’ll have an awesome grip in wet or slippery conditions, however, these soles aren’t particularly resistant to constant use and abuse. Still, I appreciate their supportive design, with a 6-inch shaft that makes these ankle-high. With a lightweight cement construction, you wouldn’t say these boots have a reinforced steel toe. And thanks to the ASTM-standard rating F2413-11 M I/75 C75 EH, they offer a good protection against impacts, compression, and electrical hazards, unlike the EVER BOOTS “Ultra Dry”. Therefore, compared to the EVER BOOTS, these are a bit less comfortable and more expensive, but way more protective. Made of leather and with a steel toe, these have some unique features, like their 200g insulation made from Thinsulate – half as thick compared to its Chippewa counterpart. Even the EVA foam insert is really insulating and cushiony, and that’s because it uses gel technology. Plus, it’s removable. They are a very comfortable pair of work boots, thanks to their anatomic design. That way, they support your feet when you’re moving, giving you much more flexibility and stability. When it comes to the 6-inch steel shaft, these boots are on par with the Wolverine ones in terms of support, though their rubber outsole is more resistant. The Diagnostics are a pull-on sort of boot, even if they use laces. With their SuperWelt design, they promote foot flexibility. Their low-profile design looks really stylish and comfortable, although they’re incredibly durable. So thanks to the mesh lining and the Poliyou sock liner, your feet will be able to breathe. That way, you won’t be bothered by the sweaty feet that come with the territory. In that regard, these boots resemble the EVER BOOTS “Ultra Dry”, although their polyurethane sole can be removed. They also have the same care for natural feet movements, feet flexibility, and fighting fatigue, but the Diagnostics use the ERGO comfort system for that. 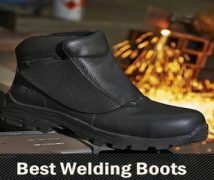 So unlike the Wolverine boots, these ones can perform for hours at a time, giving you a comfortable, cushiony experience. However, you shouldn’t use them with shovels or other intense work in the long-term, because the tread doesn’t hold up too well. You should also take good care of them and follow our directions above to maintain their waterproof feature. They look stylish and classy, but they’re designed for heavy industrial applications, so they have a reinforced steel toe. The iTechnology construction used is awaiting patent approval, but it’s really durable and comfortable. And just like Caterpillar Men’s Diagnostic, these boots use the ERGO technology too, making an anatomically-shaped, ergonomic pair of boots out of them. They resemble the men model in terms of breathability too, since they use the same sort of lining and sock liner. The midsole Is very cushiony too, absorbing the shocks with ease. The leather uppers are waterproof, while the rubber outsole is resistant to slips, just like for the other boots reviewed here. But this is the only model so far with a longer shaft, 8 inches from the arch, offering you increased support. On the other hand, these boots run narrow, so you might need to order a bigger size if you want to make them even more comfortable by adding insoles or arch supports. You might also need an extra pair of laces at hand because the included ones feel somewhat short unless you’re tying them really tight. These KEEN boots are quite lightweight, which can easily be explained by their construction. They sport a leather and textile upper and the textile part weighs less than the leather. On the other hand, this doesn’t make them fully waterproof. Another reason is that they have composite-reinforced toes, which weigh less than steel ones. However, they’re not that resistant to impacts or compression. 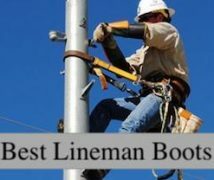 So even if these boots are great for industrial work, they’re ideal for environments with electrical or static hazards rather than heavy-duty ones. And since the composite toes are asymmetrical, you’ll find they offer a better fit than the common reinforced toes. I love the non-marking slip-resistant rubber soles on these boots, which are perfect in terms of grip and support. The polyurethane midsoles are cushiony too. And unlike the Caterpillar boots, these could use some more arch support, although they boast a great KEEN Dry membrane for extra breathability. But the thing I like the most about these boots is their Cleansport NXT membrane which deals with the odor from smelly feet. So not only are these boots great in terms of breathability, just like the Caterpillars, but they also kill odor-causing bacteria, leaving your feet minty-fresh. The Timberland Rigmaster are another great pair of waterproof boots, considering their sturdy construction and a steel toe protection with the ASTM F2412-11 I/75 C/75 and the F2413-11, EH ratings. That makes these boots resistant to compression, impacts and electrical hazards, just like the Caterpillars. Plus, they have similar designs too, like their leather uppers material and 6-inch shaft. However, there are some differences, for example, the Timberlands have a synthetic sole instead of polyurethane and a fiberglass shank instead of a steel one. Both these materials are lighter but they’re arguably less strong, therefore less supportive. Still, I like the padded collar in terms of cushioning and ankle support, while the mesh lining offers antimicrobial treatment, like the KEEN boots, so no smelly feet here either. But the thing I love the most about these boots is the Timberland PRO rubber vamp which offers amazing heat resistance. So unlike the usual leather boots that make your feet scorched in the heat, these ones can really let them breathe. On the other hand, the waterproof membrane can bunch up if you wear a size that’s too big. These boots also offer little arch support, just like the KEEN ones, so they’re not amazing for prolonged hours standing. The Carhartts boots are great for bad weather, mud, cold and rain thanks to a supportive, durable construction. The full grain leather upper is an ace in terms of insulation, while their rubber soles built for absorbing shocks provides good traction. These boots are resistant to oil, slips, as well as chemicals, which makes them great for muddy construction sites. Thanks to their composite toe reinforcement with an ASTM 2413-11 EH rating, the Carhartt boots will prove your ally in environments prone to electrical hazards. With their Rugged Flex technology, these boots have an ergonomic design that dissipates foot fatigue, just like the EVER BOOTS or the more similarly-priced Caterpillars. And, if you remember our KEEN boots review from above, you’ll notice both these boots have composite toes, but these ones have a sturdier build. Although they both sport a 6-inch shaft, these ones don’t have any textile in their uppers. They come with a cement construction and plenty of padding. In that regard, they’re really comfortable, thanks to the padded tongue and color, the light, yet cushiony EVA midsole and the orthopedic OrthoLite insole. But unlike the KEEN boots, all these paddings render them heavier, warmer and less breathable, which isn’t really an asset for hotter weather. These Timberland boots come in a wide variety of sizes, boasting a resistant construction and an appealing design. They’re made from full-grain leather, which renders them really insulating and resistant to punctures, while their rubber sole is great in terms of traction on a muddy ground. In fact, the outsoles have multi-directional lugs, which is another great asset in terms of the extra traction provided. However, you’ll find you won’t have a terrific grip on snow. Even if they have a particularly small 5-inch shaft, the smallest of all the products we reviewed here, these boots can still provide good ankle support. That’s especially thanks to their cushiony padded collar, as well as their fully-gusseted tongue. Another function of their tongue is to keep debris out, that’s something that I find very useful. Unfortunately, they’re not great for heavy-duty construction work because they don’t have a reinforced toe, just like the EVER BOOTS. But they can certainly hold their own in terms of water resistance, as well as comfort. The EVA foam midsole and footbed are not just cushiony, but also shock-absorbing so you’ll prevent back and feet aches. And unlike the other Timberland Pro Men reviewed here, these offer some amazing arch support. If the previous pair of boots we talked about left you feeling the need for something sturdier, this new pair of Keen footwear is some of the best in terms of strength, which renders them perfect for heavy-duty construction work. Just the ASTM F2412-11 F2413-11 I/75 C/75 EH and F1677-96 Mark II non-slip ratings should paint a pretty good picture considering these boots are resistant to impacts, compression, electrical hazards and slips. Another great advantage in terms of protection is their steel toe protection, while the first Keen boots we reviewed had composite toes. Still, they both have asymmetrical toes, which imitates the natural shape of your feet, thus increasing the level of comfort. In fact, they’re just as comfortable as the Caterpillar Men’s boots, which boast the same steel toe. That’s because they have a breathable membrane that doesn’t let your feet sweat and a metatomical EVA dual-density footbed. So unlike Timberland Rigmaster, these boots can offer a pretty sweat arch support, although they’re fairly heavy. Construction is very important when it comes to your boots being waterproof. You want to check the stitches, the laces, the lining and even the tongue to make sure no water can get inside your boots. From that perspective, cement construction, Opanka construction, and Goodyear welts are all reliable enough to make for a waterproof boot. However, the cement construction is probably best since it has the most secure stitches. Leather is generally used for waterproof work boots, though it can appear in different forms. Full-grain leather is the most reliable if you’re looking for fully-waterproof boots. If you just want them for heavy rains and early spring weather, Nubuck or suede can work just as well. The combination of leather and textile is the least protective in terms of water resistance, though it can still hold its water – pun intended. Make sure the other materials used are waterproof too, like the lining and the outsole. So the lining should be made from polyester, while rubber or synthetic outsoles are the most commonly used for reliable waterproofing. Even if that doesn’t have much to do with the degree of waterproofing, you might still want to check the boots toe reinforcement too. If your line of work means heavy-duty constructions, you need a reliable steel or aluminum toe, though these are less comfortable. Otherwise, a composite or a soft toe can work just fine, with alloy toes in the middle range for comfort and protection. But if you’re after waterproof boots, you might also be wary of slips. So the toe reinforcement can really help you out in case you’re constantly bumping into stuff, like tree trunks. Basically, an impact-resistant toe reinforcement is best here, even if we’re not talking about impacts caused by falling objects. If you want waterproof boots, you might also work on a slippery, oily or muddy ground. That means you want good ankle protection, at which point the shaft height becomes really important. Ankle-high boots are good enough for providing this support, but higher shafts are even better for waterproof purposes. So if a certain pair of boots is waterproof even when you sink it into a puddle, it helps to have a higher shaft so you can step into a deeper puddle. The materials used for manufacturing work boots are really strong, but those used for waterproof work boots are even stronger. That might add to their weight, as well as their insulation, especially if you’re interested in boots that are cold-resistant. People want their work boots as comfortable as possible, so they might be overly-impressed by extra padding. And although this helps in terms of cushioning and insulation, it might also render the boots heavier and warmer, which is ok for cold weather. But if you’re working in warmer weather, an anatomic, ergonomic, anti-fatigue design might prove better instead of extra padding, especially when thinking of arch support. 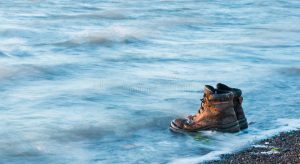 We’ve just ended our series of waterproof work boots reviews, so we hope you found something you like amid this wide variety of footwear. 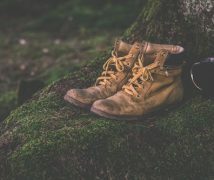 We tried to find boots that can fit multiple purposes, but even if you didn’t find something you like, you can still use our buying guide to ultimately make an informed purchase. That said, tell us what you think. Which boots sound best for your line of work? Which have you tried and liked? Which have you tried and hated? Let us know in the comments box below!